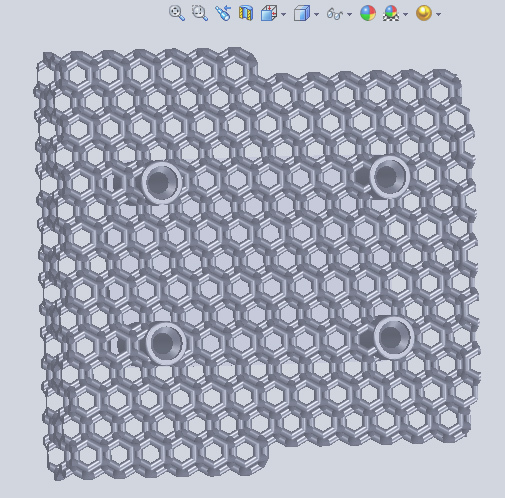 While working on part of a new design for 3D printing I thought I’d capture a few of the key stages and put together a brief tutorial about how to create a complex-looking wireframe (or lattice) design. Who said Solidworks couldn’t do complex organic models?? 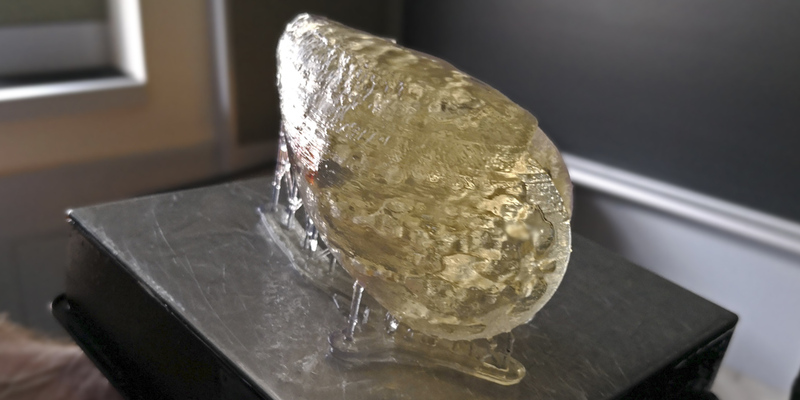 (this article has been updated slightly on 2/12/2014 since I modified my process – that’s Solidworks for you, there’s always a million ways to achieve the same outcome. Some are just a little cleaner than others). Step 1 is to setup some planes with sketches defining the rough shape of the object you want. This is important to get the overall size right and control the shape. By putting some planes at angles, this will increase the visual complexity rather than all planes parallel. Step 2 is to create a 3D Sketch – then imagine you’re a spider and draw lines between vertices! Setting up the planes in step 1 means your 3D sketch will be easy to control (if you’ve tried 3D sketching without any guides you know how quickly it can get out of control). Step 3 can be done in a number of ways depending how accurate you want to be, and how patient you are. The first part is the same no matter which option you go for – create a plane perpendicular at the end point of 1 of the lines (by clicking the line as the first reference, and the endpoint of that line as the second). Draw a circle on the plane with the line through the center. Give it a dimension, then right click on the dimension and ‘Link Values.’ Create a new name, which will allow you to draw upon the parametric capabilities of Solidworks as you move forward and link all dimensions together, meaning you can update 1 and the entire model will rebuild with this new diameter. 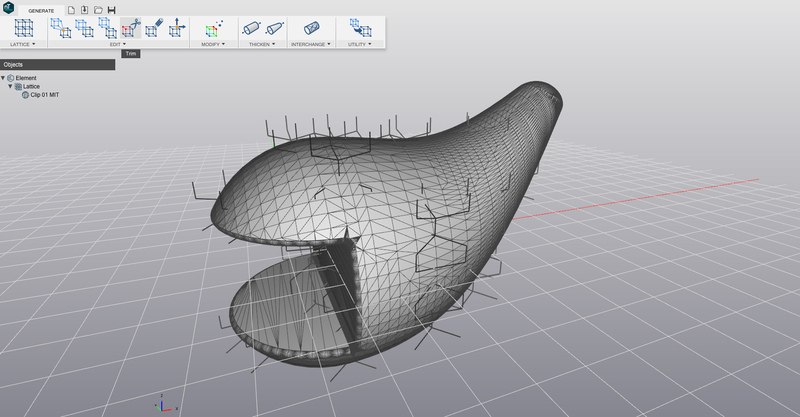 Now you can either exit the sketch and use the ‘Sweep‘ function, linking up as many lines as you like, which will look OK but will result in sharp junctions at each vertex which even a fillet won’t perfect. Or if you are a bit OCD like me go 1 line at a time either as a ‘Sweep’ feature, or ‘Extrude‘ using the ‘up to vertex’ option to the endpoint of the line. Step 4 is to repeat, repeat, repeat! This is also where the ‘Link Value’ becomes useful – when you sketch each new circle and add a dimension, just right-click on the dimension and go to the ‘Link Value’ option. There will be a drop-down menu where you can select the name of the dimension you created in the first sketch. This will link all the diameters together using a single dimension. You can keep the ‘Merge’ option checked, or un-check to leave each extrude as a separate body to combine at the end. Up to you, I usually merge everything as I go if possible (saves any surprises at the end). Step 5 Once the framework is complete, the last step is to fill all those little joints between the cylinders. Simplest method if you are working in part mode is to sketch on one of the flat surfaces, convert one of the circles, then turn this into a semi-circle. 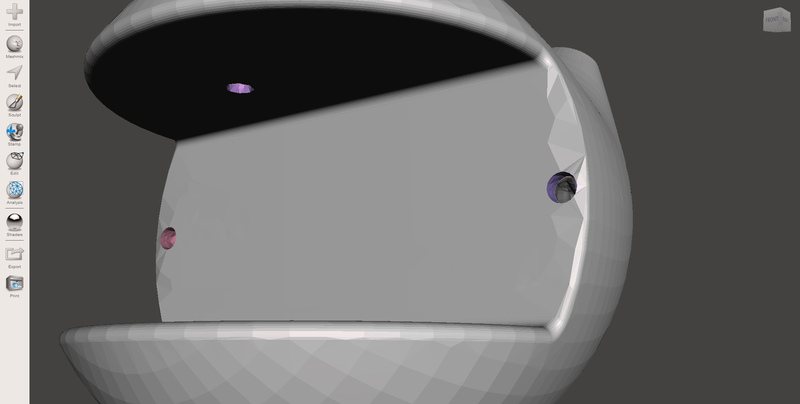 This will allow you to do a 360 degree ‘Revolve‘ feature, filling any gaps in the joint. If you prefer you can complete this step after creating each cylinder so you don’t lose track. If you’ve modeled as separate bodies, you can now use the ‘Combine‘ feature to join all those individual pieces together as a single solid. Hope that’s useful, I know it’s more time-consuming than some other CAD software out there, but it’s also extremely accurate. This model took about 2 hours to complete. Leave a comment if you have any questions, or share it around. I’m on a roll against huge STL file sizes! You can look back at some of the past story here, but in summary I have a complex section of a design that started off being a collection of separate truncated octahedron parts. When saved as an STL, the file size was 259MB, which for something only the size of an Up! Plus 2 print plate, was pretty ridiculous. It took me a lot of mucking around but eventually I reduced the STL file size by merging all those separate parts to form a single solid within Solidworks. That’s the 104MB pictured above. 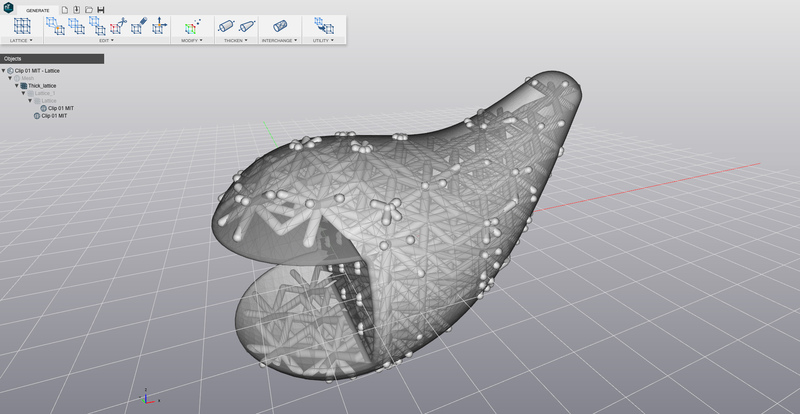 Now I have just discovered the freely available MeshLab software, which in a matter of seconds has simplified the mesh to half the file size, without compromising quality. Now if you’re a 3D printing nerd like me, that’s cool! I’m sure with tweaking this could be further reduced, which is important since the part I’ve been testing is only a portion of a larger product, and I need it to be less than 100MB for uploading to i.Materialise in the future. Looks like MeshLab does a whole range of other things like repairing meshes and cleaning up textures, so if you’re slow like I obviously am, download MeshLab now! If you’re keeping score you may know that I’ve been losing against the might of HUGE file sizes and failed 3D prints (check out the last attempt here). Looks like my luck is turning! The issue has been one of overlapping geometry, which Solidworks seems to hate – rather than each truncated octahedron perfectly lining up, they are actually about 0.02mm away from perfection; a detail that has taken weeks of on and off experimentation to get right! So if you want my hot tip, stop trying to model so damn perfectly! I came across the truncated octahedron during my Honours studies, researching shapes that would fill 3D spaces without leaving any gaps. Now that I have the time to get back to some of these ideas, I’m quickly blowing the Solidworks file size into the hundreds of MB’s! But the great thing about this shape is that it can print on the ‘Up! Plus 2’ 3D printer without any support structure, and is strong enough to stand on. In this photo you can see the CAD file and one of my 3D prints of a segment. I’m currently looking at combining all the parts into a solid body as it seems to save a substantial amount of MB’s when converted to an STL file if everything is joined – I guess because there are less individual surfaces all intersecting. Just a pain to do!